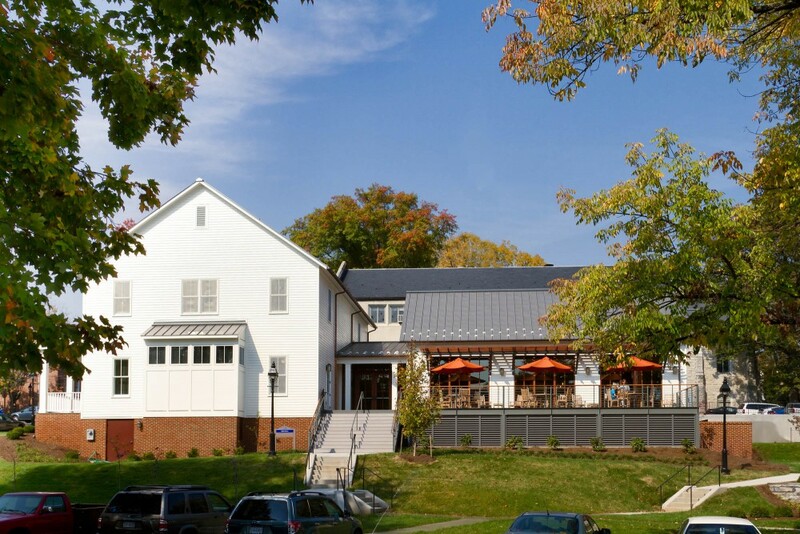 WASHINGTON AND LEE UNIVERSITY (W&L) has a vibrant Hillel organization, and desired a building dedicated to Jewish student life to advance the University’s commitment to diversity and inclusiveness. 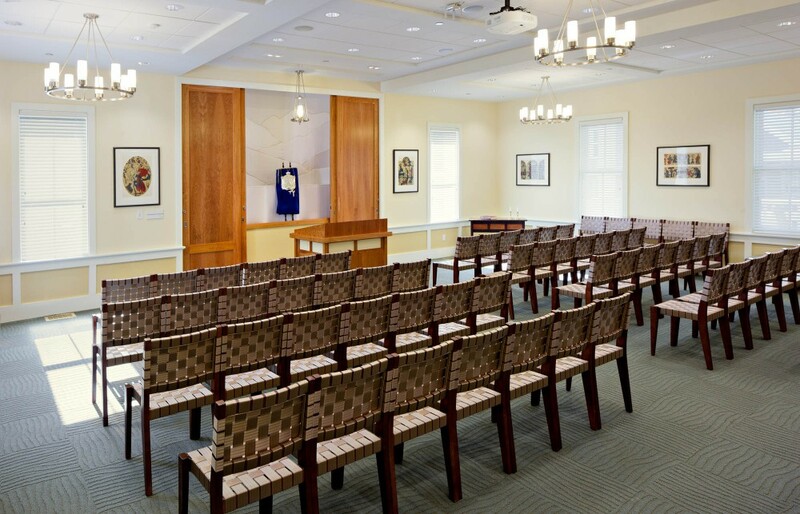 Glavé & Holmes Architecture was commissioned to design a building which supports the cultural and religious experience for Jewish students as well as W&L’s non-Jewish members. 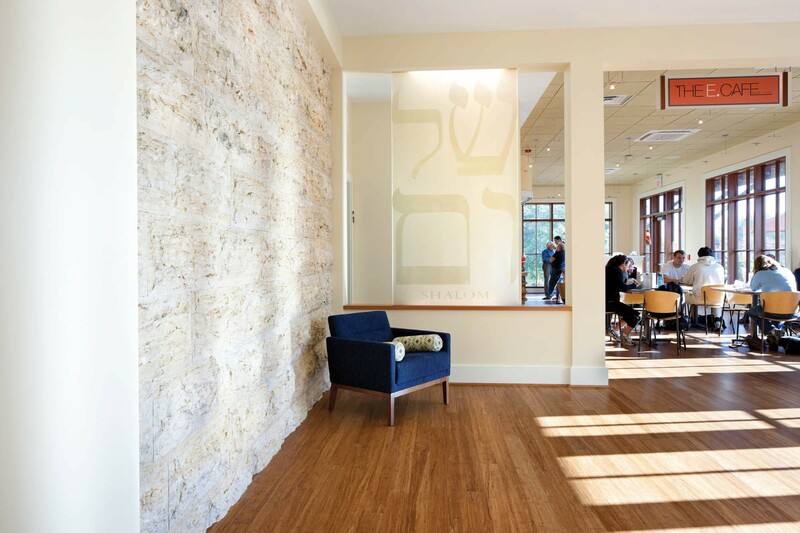 In addition to providing a much-needed home to the Hillel organization, the facility was intended to offer the added benefit of providing a resource for the Jewish members of the local community. 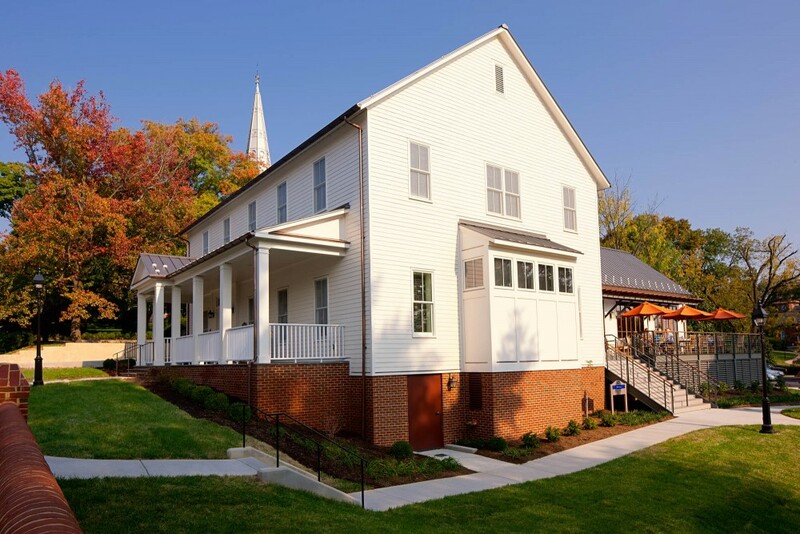 The Hillel House site is located at the edge of campus and fronts one of the main streets in the small town of Lexington, Virginia. 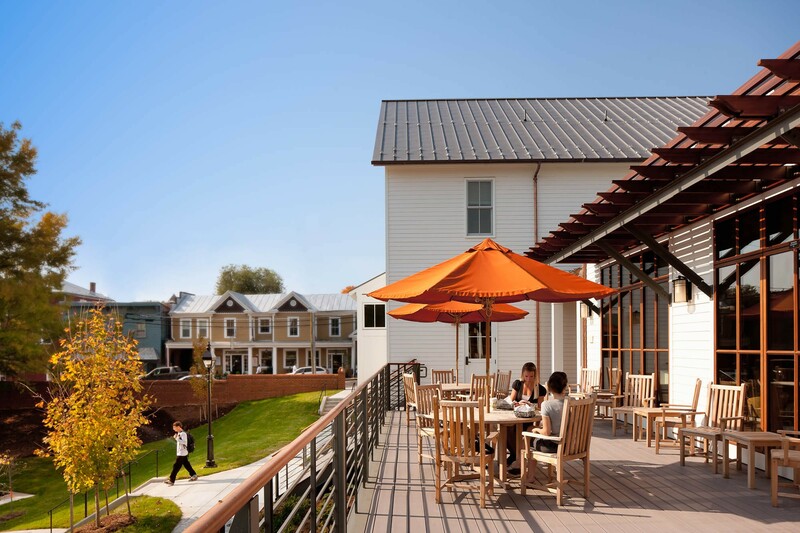 The building design creates an identity that is distinctive and contemporary, yet fits within the context of the town and the regional vernacular of the adjacent frame houses. 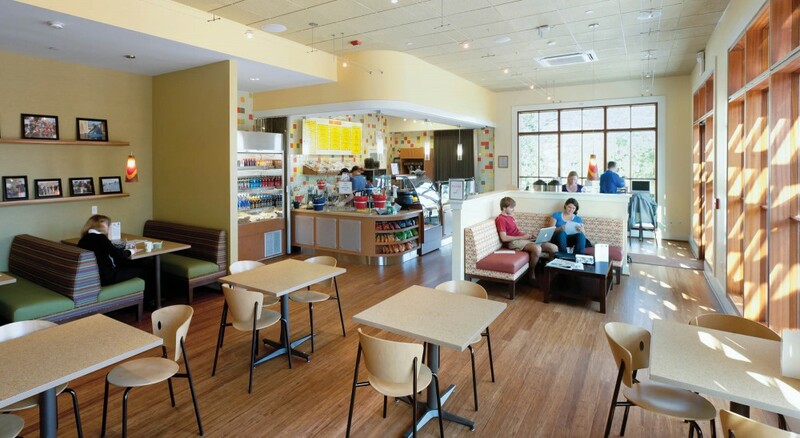 The new Hillel Center features a sanctuary adaptable for educational and social events, a student lounge, a conference room/library, staff and student offices, and a kosher Café that not only is available as a meal plan option for students, but also attracts townspeople from the local community. The Café opens onto an elevated terrace that provides a place for gathering and admiring the natural beauty of the distant mountains. A rain garden at the lower portion of the site demonstrates the project’s commitment to sustainability and assisted with obtaining LEED Certification.